Most pregnancies exude excitement, as they should! A couple who’ve been praying and trying or even happily surprised with an unplanned pregnancy find the experience to be uplifting, challenging, and rewarding. Unfortunately, this was not how my pregnancy started off. My partner at the time was my ex-fiancé who had broken our engagement off and we had found out I was pregnant AFTER the fact. With that he decided that this was not his responsibility. I was terrified! This whole human’s life inside me depended on my decisions alone. This is not a story about that. But do keep in mind this was something I had to deal with on my own as you read my story. From the moment I tested positive until the time I was in the delivery room I dealt with major nausea and vomiting. This is commonly diagnosed as hyperemesis gravidarum, in which I had to be hospitalized every now and then to have IV push fluids into me to keep baby and I hydrated. Anything from popsicles to spaghetti to a glass of water, my stomach rejected it. At 30 weeks I was finally beginning to show. More or less it looked like I had a big lunch. Within my second trimester I had lost about 15 pounds and was looking very skinny. As flattering as that was baby girl was measuring small. I had monthly ultrasounds to ensure she was growing (which she was) and things seemed to be going relatively good. Puking aside. As due date approached, I continued working and running to the bathroom and vice versa so provide for this munchkin in my belly. Around 34 weeks the itching began. I want to hit this point very early. ITCHING. The most common and noticeable symptom is itching. EVERYWHERE and ALL THE TIME. I am not exaggerating when I say it feels like being locked in a box with a million spiders, ants, caterpillars or whatever crawling all over you without mercy. There is no relief to this itch and causes insomnia and no way to get anything done. I remember being so itchy I would use a hair brush to itch myself and ended up breaking skin in several places. No amount of lotions, prescriptions, baths or DIY remedies were able to tame this insufferable feeling. All you can do is cry and itch and cry and itch. So, as I cried and itched, I made several phone calls a day to my OBGYN. I couldn’t work, I couldn’t focus I couldn’t slow my mind. All I wanted was some relief. After being annoyingly persistent they decided to run a blood test to test for what is called Cholestasis of Pregnancy. I went in that day to be tested to find out that for some reason I wouldn’t receive the results back for four more days. FOUR DAYS OF ITCHING UNCONTROLLABLY. I couldn’t sleep or function normally. Since I was not diagnosed yet and waiting for test results, I was given no medication or direction. Just take Benadryl, they said. Try working full time and taking Benadryl several times a day and stay awake. Not the easiest task. The four days passed and I was officially diagnosed. My bile acid levels were a 14. A 10 is considered to qualify as Cholestasis of Pregnancy. I was given a prescription of Ursodiol to take several times a day that would try to help lower my bile acid levels, they were no help with the itch. With that phone call they told me to come in when convenient. I went in and they explained that I would need to be induced early, that everything was fine and that it was up to me when we would take the baby. I was 35 weeks with this diagnosis and the doctor said I could be induced that night if I wanted or wait a week. With the thought in mind that everything was okay I felt no rush. I scheduled my induction for the next week. I had two Non-Stress Tests at the hospital that week to monitor baby girl and to receive steroid shots to build up her lungs for delivery. She passed each test with flying colors. She was moving and karate chopping my tummy to her hearts content. I was told to do kick counts each hour and to go straight to labor and delivery if she stopped moving as much. I thought to myself, if this cholestasis isn’t such a big deal then why would it be so urgent to go to the hospital for kick counts? The day before my induction came and I was preparing like a mad woman for this baby to come. Registering with the hospital, packing a hospital bag, buying slippers and movies to watch while waiting for baby to come. I was finally really excited for this baby to come. That night I began to feel cramping. In all honesty I thought I needed to go to the bathroom. Soon I realized these cramps were coming regularly and in waves. Soon I realized I was in labor. I woke up my parents around 12:30 to let them know my contractions were 2 minutes apart and almost instantly my water broke. We rushed to the hospital running every red light and I began to waddle to labor and delivery. Crying in pain I became nauseous. I clicked the elevator button and got in and began gagging. With each gag my water broke more and more. I was in too much pain to be embarrassed that I was literally leaking a trail of fluid. Once off the elevator I began vomiting. I was unable to continue walking. Nurses ran out with a wheelchair and wheeled me in and made me sign papers and I’m crying in pain. I quickly got to my room and was told to change into a gown. I ran into the bathroom and waiting for the current contraction to finish so I could put my gown on in between the pain. Then I noticed something. And I knew it wasn’t good. The fluid I was leaking was bright green. And there was a lot of it. I hopped in the bed and asked the nurses if that was normal. No reply. They began searching for a heartbeat. The nurse with her stethoscope couldn’t find anything. They then brought in an ultrasound guy who confirmed the lack of a heartbeat. I stared at the ceiling, not connected with the world and unable to process what they were telling me. As I stared, I heard the cries of my family and like pleas to get her out and resuscitate her. They were unable to do anything. Each contraction came and made me forget what was going on, I remember praying to stay in this physical pain forever so I would not have to come back to reality and comprehend that my baby was gone. For two hours or so we waited for the doctor to come give me my epidural. I was restrained to the bed as I was shaking uncontrollably from the pain of each contraction. Finally, the epidural was administered and I was relieved of labor pains. I looked at my stomach, not feeling a thing and watched my stomach contract in a long wave over and over. Since she had passed all we did was wait for my body to push her out on its own to save my body some trauma. I gave birth to her without knowing until the sheet was lifted from me and a perfect lifeless angel laid on the bed between my legs. I held her body and fell in love. Although her lips were black and her skin was purple my baby was beautiful. It felt as if she were just taking a nap, she looked so peaceful and that she could wake up at any moment. Just then, I was so proud of what I had created. Later came the hurt and pain. I was wheeled over to the other end of the wing away from all the other successful deliveries. I held her close as they wheeled me over to me new room, right passed the nursery with dozens of healthy and crying babies. What I would give to hear my baby cry. As I approached my room a couple came out with, they’re glowing pink newborn…And I cried. And I cried more. I was happy to spend time with my newly named baby, Madeline, stroking her hair and memorizing her face. The most heartbreaking part of this all was when the nurses had to take my baby to the freezer every so often. My baby had to be frozen to be preserved. Each time I held her she got colder and colder and her skin stiffer. Wow. Did I really just lose a child at 21? During my pregnancy I was seeing a therapist since I was a single mother and after my traumatic experience at the hospital I continued to go. I was diagnosed with symptoms of PTSD on top of my already Major Depressive Disorder and became very dissociative. That meaning I couldn’t comprehend what had happened. I didn’t feel like a mom. I didn’t think it was real. It was all just foggy and felt like a really bad nightmare. I did EMDR which is a practice they use to help those in the military who experience PTSD. My therapist explained to me that my brain was completely shutting out the experience to save myself. This made it really hard to process and grieve my still born. To this day I still have trouble connecting myself with it and this happened back in 2017. Can you imagine not even being able to grieve your own child? It’s one of the most frustrating things in the world. You know it’s real and that it happened so why can’t you feel anything?! Well let me tell you it hits. And when it hits, it’s hard. Not to mention at the most inopportune times and in the most dramatic way possible. I find myself going back and forth from dissociating myself and then feeling everything at once. I often wonder, what would’ve happened if I had been more informed of this disease? I would’ve asked to deliver her a lot sooner. I’d have a warm daughter and a happy heart. Because I would’ve lived with that itch forever if it meant my darling was glowing pink and warm. I didn’t want to hear that I was one in a million that this would happen to. I wanted Madeline. The reality was that there was nothing I could’ve done differently with the information and direction I was given. That’s why it is important to raise awareness so that Doctors and their staff are properly trained and informed about ICP. My first pregnancy I didn’t know what was “normal”. My baby was very inactive, but I didn’t know any different. By 25 weeks along I reached out on Facebook complaining that my hands and feet were itching, a burning itch, and it seemed very off to me. The itch couldn’t have been terribly intense because I allowed myself to be talked out of worrying by multiple friends and family telling me “some itching is normal”. In fact, I let myself believe that so much I completely forgot about it until a Facebook time hop three years later. That time hop frightened me terribly having confirmation of what I already knew and of what could have gone wrong! My first pregnancy, just like my second was an Intrahepatic Cholestasis of Pregnancy; this one, however went undiagnosed and untreated because the itch was mild and I let people tell me to ignore the itch. Please, don’t ignore the itch!! A few weeks later, 33 weeks, I went in for my routine checkup and was almost sent directly to the hospital for blood pressure. I was asked about baby’s movements and I told them it was the same as ever – which was true, I just didn’t realize at the time that just because it was the same didn’t mean it was much, much too little! I was sent home on bed rest with frequent blood pressure checks. I started twice weekly being checked for preeclampsia both in blood and urine, I passed every test with flying colors. Not only did I not have preeclampsia I was also nowhere near developing it. My doctor was puzzled. My body was slowly going into a deeper level of shock each day and there was no obvious answer. By that time, I had forgotten the itchy hands and feet and anytime it flared back up I assumed it was blood pressure related. In my 34th week I was getting periods of intense swelling of my hands. They were hot, itchy and balloon like. I would also get periods of vertigo and feeling like I couldn’t focus my eyes correctly. Still absolutely clear of preeclampsia. Still with zero answer to why my body was panicking. At my next appointment I was 35 weeks, my OB did an NST and realized how little the baby actually moved. I was quickly moved from the NST to an ultrasound. In the ultrasound my baby wasn’t moving. We could see his heartbeat and practice breaths on occasion but other than that the baby just floated inside me. I did a shot of juice, cold water, moved the table at an angle, nothing moved the baby. Eventually the ultrasound technician started shaking my belly and we could see him respond just by flicking his hand. The office was very good at staying calm, I was terrified but left feeling ok about it. Within a few hours my OB called to tell me we needed to induce as soon as possible which would be that weekend at 36 weeks. The ultrasound had shown that my placenta was aged past what is expected of a 42-week pregnancy. Still no reasoning for it, but it was happening and it was happening very ferociously. When I went for my induction the nurse and doctor who started the medication made several comments that I must have wanted a baby in the NICU for willingly being induced so early. Since I had no actual diagnosis the ultrasound was the only reason to be inducing. It was a hard labor but late the next night my son was born! The delivery room had NICU nurses waiting to take him but amazingly he was strong and healthy! IN fact, he was dubbed the smallest but loudest baby at the hospital during our three-day stay! A few hours later, early in the morning our pediatrician came to give his first exam on the new tiny baby. He started looking him over, focusing on his hands, his fingernails, strange spots I wouldn’t think they would put much effort into detailing. Then he asked me what exactly was going on for causing the induction. I told him about the blood pressure and ultrasound and lack of movement. I’ll never forget what he told me next. “This baby only had a few days left to survive in you, he certainly would not have made it through the week.” I was recovering very hard and for some reason I never asked him to elaborate, I was just glad he said the induction was completely correct and necessary. We moved on, we had a rough few beginning weeks as most parents with early babies do but life progressed. Six months later I was pregnant with my second. Again around 25 weeks I was itchy, this time it was my wrists and face. The face is hard place to ignore constant itching! The diagnosis for that pregnancy is a story in its own but for this story the important part is I was diagnosed and started treatment by 28 weeks with ICP. In the diagnosing phase I had to go over a detailed medical history which is when I realized that years before being pregnant I found out I couldn’t take birth control due to my liver enzymes being raised and making me very sick. 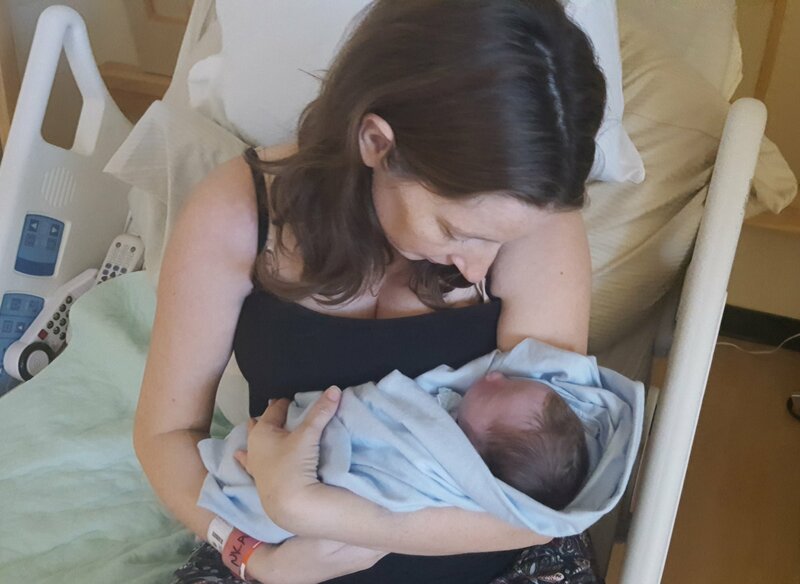 It was also in that phase that I had to recount my first pregnancy quite a bit and that’s when it became very apparent I never tested positive for preeclampsia because I didn’t have it, I had Intrahepatic Cholestasis of Pregnancy. It went untreated for a very long time because I never mentioned the itching and by the time I would have thought more about it I had other symptoms that I could blame it on. My bile acids were never tested. My liver enzymes never elevated in my second pregnancy either so bile acids were the only test that would have shown my liver being affected, but they are not routine tests – in fact for my second pregnancy the office had to have the directions pulled up on the computer for how to store and file my blood as they were drawing it because it is so uncommon to have run. The moral of this long story is to never ignore the itch! I came within days of losing my first son because I allowed myself to ignore the itch, I never got the lifesaving prescription of URSO and I was never properly monitored for a baby in an ICP womb. I now encourage any itchy pregnant woman to get her bile acids checked, if it comes back at a one there’s no harm caused and if it comes back elevated you just may save your baby’s life. Thank you ICP Care for saving my 2nd born son’s life with all of the dedication! In December 2013 I recall telling a friend I may be pregnant because my hands were itching and I seemed to remember that my hands itched in my two previous pregnancies. Sure enough, I was! I don’t recall the itching again until I was 35 weeks pregnant. It was insane, all over my body, keeping me awake at night and miserable in the day. One frantic evening I searched the internet for ideas on why I may be this itchy and the ICP Care website came up. What was described was exactly what I was experiencing. I joined the Facebook page and asked all my questions. At my next appointment I mentioned the itching to my OB. I didn’t have to mention Intrahepatic Cholestasis of Pregnancy because they immediately suspected it and tested my Bile Acids. They came back positive but not super high (they didn’t tell me the exact number). I was put on Ursodiol and scheduled for induction at 38 weeks. The day came and things seemed to be going slow so they moved me out of delivery and to a ward. The midwife said she expected to not see me back in delivery until the next day. Less than an hour later my contractions were 3 minutes apart but I was coping well with them. I got up to go to the bathroom and felt a gush. Thinking it was my waters breaking, I looked down to see blood everywhere. I had had a placental abruption and was rushed for an emergency c-section. My beautiful Warrior Baby, Cole was born healthy in September 2014. We moved from Ireland to the USA in 2015 and when we felt settled, we decided it was time to complete our family and have the fourth child we had dreamed of. We didn’t have to try… our baby was conceived straight away and we were delighted. I researched OB’s that were aware of ICP and the correct protocol, as I know many are not, and settled with one that convinced me of this. At 5 weeks I started to itch. Believing it may be psychological, I waited for my first appointment and had my bloods drawn. My Bile Acid levels were fine but they checked periodically as the itching continued and progressively got worse. At 27 weeks, I was finally diagnosed with Bile Acid levels of 11. I was put on Ursodiol and my Bile Acids never rose higher. I was given weekly NSTs and weekly BPPs and scheduled for delivery at 37 weeks. At 35 weeks baby failed his BPP for not taking practice breaths. The technician struggled to get him to move so that she could get the results she needed but I was assured everything was okay, even though I was panicking. The following week, he failed again for the same reason and again I was assured he was fine. That night my husband and I toured the maternity dept. of the hospital. I asked whether the baby was taken away after a c-section because that is what happened with Cole. The lady said no, that they would give the baby straight to me and never be taken out of my sight. I fought back tears of happiness because I had been so sad that I didn’t get to be with Cole after he was born. We were told the focus now was on saving my life and I was taken straight to surgery, where my sweet and beautiful son Gabriel was born at 36 weeks on February 9th 2017. In the far too quiet operating room, he was handed to me, just like I had hoped he would be the day before. Perfect in every way other than that he was still and quiet. It was after midnight and I slept with him in my arms, waking in the morning to his beautiful face. The hospital sent a photographer to capture some beautiful pictures of Gabriel with his family and we were able to keep him with us for a couple of days. The hardest thing I have ever had to do was to leave my son behind when I was discharged from the hospital. We don’t know whether ICP caused the placental abruptions but the two pregnancies where I was diagnosed with ICP ended the same way. I never had my Bile Acid levels tested at the end of either pregnancy, so we don’t know what they were. We have had differing opinions from doctors with some saying they don’t know if ICP was the culprit and a specialist saying it absolutely was. When I look at Cole now, I realize how very lucky we are to have him. As far as Gabriel is concerned, we love him and miss him and feel the only right way to parent him now is to spread awareness of this horrible disease that we believe took him from us. Never, ever ignore the itch! All it takes to diagnose ICP is a blood test. A blood test that could save your baby’s life. I was in my first trimester with my first baby in 2014. This had already been a stressful time with fertility treatment and a previous miscarriage at 11 weeks, so we were already concerned parents with a long road to travel. I was experiencing some incredible itchiness of a night time and mentioned it to my fantastic OB at my 12-week appointment. He wasn’t concerned and luckily I hadn’t googled anything!!!! He asked me some routine questions about problematic pregnancies for my mum and sister but I didn’t think anything of the conversation, he did say he would do some additional bloods to rule anything out but he just thought that it was normal stretching skin. Although at this stage the itch was only across my chest and mostly of a night time. We came to realize that he was clearly a very vigilant and well educated in ICP. At 14 weeks I received a phone call from him that I did in fact have ICP with a bile acid of 12, I was placed on URSO straight away and stupidly spent far too much time on Google. Luckily I found the ICP Care Facebook support group and was able to calm my nerves by asking a lot of questions. I am lucky to say my itch remained bearable yet moved to my stomach and sometimes my hands, although I feel that I never got it as bad as some others. Keeping cool was key for me and lucky I was having a winter baby, I would never chance a pregnancy in an Australian summer if I can help it. I found moo goo creams have some relief and also hydrogel breast pads placed in the fridge also assisted, anything that kept my skin cool allowed me a little more relief and therefore sleep. The highest my levels ever went were 14 with a few weeks left to deliver, my OB continued to be vigilant and developed a plan we were really happy with, blood tests monthly and fortnightly for bile and liver function, growth scans at every visit, a few CTG’s thrown in towards delivery, growth steroids for Bub and a c section delivery (my choice) at 37 weeks with back up bloods ordered and my placenta sent away for investigations. 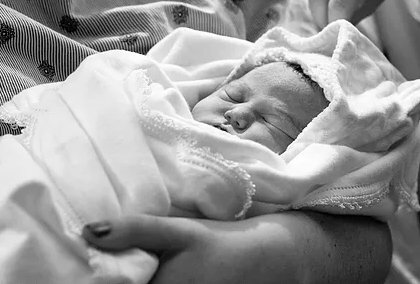 Our daughter Audrey was born without complication, a good size at 6 pound and without any of the respiratory issues we had prepared ourselves for. Even with a surprisingly lucky run in with ICP my placenta still showed what was described as ‘black/dead spots’ something that chills me still as I was considered so well ‘controlled’. My LFT and bile acids had returned to normal by follow up tests at 4 weeks post-delivery. We were so lucky with our ICP story, I know many are not as lucky as we were and I feel that it was purely the knowledge and experience of our OB who made our journey such a positive experience. We are currently 12 weeks pregnant with number 2 and unfortunately our original OB has now retired but we seem to have found a new OB that will be just as vigilant and has agreed to a similar plan as our previous doctor. At about 30 weeks, I began itching and asked my doctor about it. I was itchy everywhere. He told me to avoid hot baths and take benedryl. At 33 weeks, I went to an all you can eat buffet and that night I could not sleep because the itching was so bad. Finally about 3AM, I went online searching for itchy skin during pregnancy. As soon as I read about Intrahepatic Cholestasis of Pregnancy on ICP Care / Itchy Moms I knew that’s what I had. I called my OBGYN and went in for a blood test. They put me on Ursodeoxycholic Acid and said the results would come back in a few days. They called a few days later and confirmed the diagnosis and my BA level were at 37. I came in for a non-stress test and the baby was not very active and I started having contractions. I was sent home but advised to stay off my feet. That night I went into labor at 35 weeks. I went to labor and delivery and no one had heard of ICP. They gave me a shot to stop labor and sent me home. The next day I went into labor again. I went back to the hospital and finally was admitted. Many hours later Austin was born weighing, 5lbs 11oz. As soon as he was born he stopped breathing. 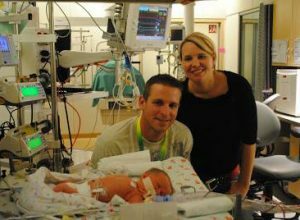 They had to call a “code blue” and call a newborn life flight team to airlift him to another hospital with a high level NICU. He was diagnosed with Respiratory Distress Syndrome; he was put on a ventilator for 5 days. He also had an infection that required antibiotics, and jaundice. For me the itching went away right after giving birth. After 14 days in the NICU and 11 days at a children’s hospital with RSV, my baby is now older and doing great. Although it was the hardest thing I have ever gone through, I am grateful to have the education, and support of such an amazing website. My name is Crystal. I live in Utah with my husband Ron and two living children, Tristyn (16y) and Ronnie (19m). I am getting out of my comfort zone and sharing my experience with Intrahepatic Cholestasis of Pregnancy (ICP) in hopes of educating those who have never heard of this condition, and to let anyone suffering from ICP or a loss like mine to know they aren’t alone. I am also a true believer that my daughter will continue to live and matter in her story and memories. Intrahepatic Cholestasis of Pregnancy (ICP) is a condition of the liver. It is not dangerous to the mother (only uncomfortable) but can be very serious or deadly to a fetus. More information can be found at www.icpcare.org. Ron and I dated for seven years before finally being ready to settle down and grow our family. We were married in 2015 and wasted no time. Two months after saying “I do,” two little pink lines confirmed I was pregnant. Our family was thrilled. As these things go, we soon found out we were having a girl. Her name had already been picked out long before she was a twinkle in our eye. Eleanor Nichole. She was named after Ron’s late grandmother and his niece who had passed away at a young age. 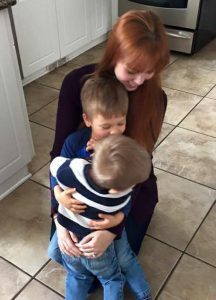 There was nothing unusual about my pregnancy for the first trimester and a half. Besides the typical nausea and discomforts, it was all going well. My appointments were great, her and I were both growing and healthy as could be. It wasn’t until about 27 weeks that things started to feel different. My hands and feet were itching. This wasn’t an itch that I could scratch and it wasn’t a typical swollen “changing body” itch either. But I brushed it off because it would come and go. I would ask my girlfriends who had babies or were currently pregnant if they had this happen to them before. Most of them said no, or that itching during pregnancy was normal. I wasn’t worried. As the weeks went on the itching got worse. I was constantly scratching, rubbing my hands together, and scraping my feet on anything that would normally hurt me. On top of the intense itching, I was having increased upper right quadrant pain (sharp pains near my gall bladder). I had those pains since being pregnant with my daughter 16 years ago and never thought much of them because they passed quickly, but they were much more frequent. I googled the two symptoms and was led to pages and stories of ICP. At my next doctor’s appointment, I mentioned my itching and my google findings. My doctor seemed flippant about it, telling me that Cholestasis usually involved itching around the ribs and stomach and I quote, “It’s not very common and we would have to draw blood and it’s a whole ordeal.” She was leaving out of town for the next few weeks and I was brushed off. I left the appointment being told that I should stay away from “Dr. Google” and that my hands were likely itchy from swelling and carpel tunnel. I had no reason not to trust my doctor and left feeling a little silly that I thought I could have something so serious. No more than 3 days later my itching got worse and had spread everywhere… my legs, my breasts, my neck, my armpits, my scalp! I was scratching my neck until it bled. I was turning the shower extra hot then really cold for the tiniest bit of relief and I wasn’t sleeping. I honestly felt like I was going to have a mental breakdown and was losing my mind. I was ashamed to leave the house because my scratching made me look like a pregnant addict. I couldn’t control my scratching! I knew deep down there was something else going on, something serious. I called the doctor’s office on a weekend, knowing my regular doc was out of town and asked for the blood test. Five days later my suspicions were confirmed. My bile acids were around 40 and a prescription for Ursodiol was called in for me to pick up that afternoon (that was an ordeal in itself). The pharmacist didn’t seem to know why a pregnant woman would be taking Ursodiol and was questioning me on it. Then, my insurance company denied the original dosage I was prescribed. The on-call doctor lowered my dosage ensuring me that it would still be fine and I was finally on my way. I left feeling hopeful but still devastated that my body was literally poisoning my baby. One week after getting my actual diagnosis and prescription I spent a Saturday getting a pedicure, lunch, and the final items needed for our baby girl. I just knew she was going to be born earlier than planned. I was prepared to call my regular doctor when she returned from her vacation to schedule an induction that week now that I knew going 40 weeks was not an option with ICP. I couldn’t wait to meet her. Ron, Tristyn and I got home after a full day of running errands and keeping busy that I hadn’t noticed my decreased movement and kicks. Something that still haunts me is not knowing when her movements actually stopped that Saturday because I was so busy and moving around. On Sunday morning March 13th, 2016 at 10:56 am our beautiful Eleanor Nicole was “born sleeping” (a term I absolutely hate using). I was just under 37 weeks gestation. Eleanor weighed 7 lbs. 9 oz and was 21 inches long. Her hair was brown with a hint of red and she looked just like her daddy. I can still feel her lashes on my lips when I kissed her. 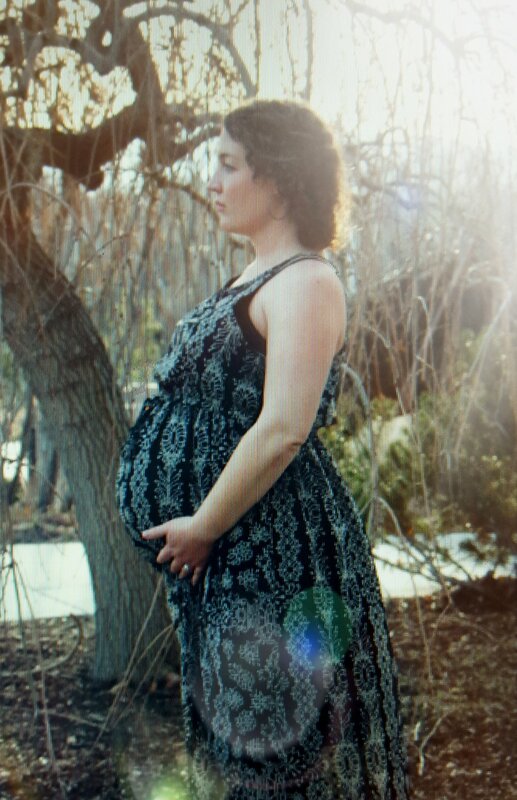 She was my hardest and longest labor and I remember bits and pieces of that night like it was yesterday. Our hearts were broken and our lives forever changed. That night was a true nightmare for Ron and I. We still wonder how we survived something so traumatic. At the same time, I am forever grateful for the people who came to take pictures and make mementos for us to keep and cherish forever. The week after Eleanor was born is a blur to me, but I am so blessed to have a husband who loved and took care of me in the hardest time of my life. I am also so grateful for my mother and mother in law for helping us and being there for anything we needed. As expected, my itching was gone a day or so after the birth. The only time my bile acids were tested was when I went in for my original blood test and after she was born. Because of this, they had dropped significantly. I will never know what they were or if they were dangerously elevated when she quietly passed away. The original level (40s) would not be considered extreme. Eleanor’s autopsy noted the ICP as a cause of death and meconium staining because of the stress she was under. It was also noted that I had a 40-90% chance of getting ICP in any subsequent pregnancies. I am happy to write that my story does have a happy ending. After losing Eleanor I joined the “Itchy Moms” Facebook group and searched a TON of information on ICP. I changed to a doctor that was recommended by other itchy moms and now have the most amazing beautiful son Ronnie. My doctor is amazing and listened to all of my concerns. We had a plan in place from the beginning. I was tested frequently (even if I had the slightest itch) and started non-stress tests at 30 weeks. I never got ICP with Ronnie. I went into the pregnancy fully expecting to have it again and still can’t grasp why my levels never elevated with him. But, I am still at risk for any other pregnancies and now know that my daughters have a higher chance of developing the condition. Ronnie was still induced early because of my high risk and he has brought joy to our lives since the moment he started crying in the delivery room. If you’re pregnant and itching or if your significant other is pregnant and itching, if you know of ANY PREGNANT WOMAN who is itching, please don’t take it lightly! Trust your instincts and push for blood tests if you are not comfortable with the answers you are getting. Know the symptoms (itching, upper quadrant pain, dark urine, pale stool, jaundice) and tell all of them to your doctor. Most importantly, know that my story was the worst outcome and it doesn’t mean that yours will be. Intervention and treatment are available! Don’t ignore signs or symptoms and fight for you and your baby!